What’s the point in launching a brand-new smartphone when you know that all of the media attention will be focused on your big rival? With Samsung garnering all the press attention for the launch of its S9 and S9 Plus phones, LG decided to simply upgrade its existing flagship phone. 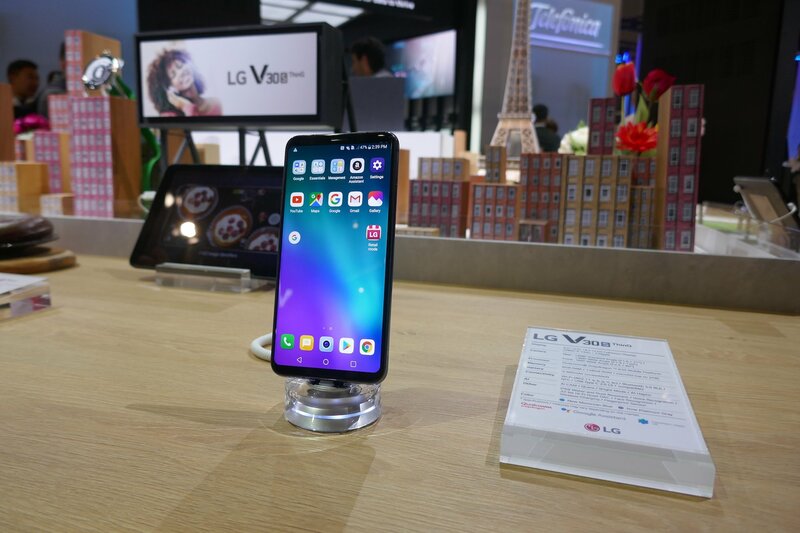 So while the V30S ThinQ is not new, this refreshed version that TravGear got its hands on at Barcelona’s Mobile Eorld Congress will definitely be of interest to travellers. A 6-inch, 18:9 ratio phone that runs the latest snapdragon 835 chip, the V30S features a larger battery and is both water and dust-resistant. However, the refreshed V30S is all about the camera. On the back it’s got a 16-megapixel standard angle camera and a 13-megapixel wide angle camera, with the aperture reaching F1 .6 and F1 .9 respectively. That’s highly impressive, but it’s some new artificial intelligence features that the phone now comes with that are most noteworthy new features. The V30S guesses what photo you’re about to take. It’s got eight preset modes, as most cameras do, including person, flour, pet, food, sunset, sunrise, landscape, and city. So if you point your camera at sunrise, it will optimise contrast, saturation and colour for you. It does this by object recognition; point it at some food, and it will identify in real time that it is indeed looking at some food. Clever stuff. However, the V30S’s Most useful update for photography is probably its ‘ bright mode’. Thanks to those very low aperture figures, the V30S can let in twice as much light as before, also by combining four pixels into one big pixel. It also promises to use a faster shutter speed to produce a cleaner, less noisy image. Owners of the first generation of theV30S, launched just six months ago, will probably be annoyed. But this hardware refresh of LG’s flagship phone could be interesting for taking the kind of urban night scapes so beloved of travel photographers.